(via NASCAR Wire Service) NEWTON, Iowa — Heat and humidity. Three-wide action. One race-changing wreck — and a rousing triumph for a local favorite. 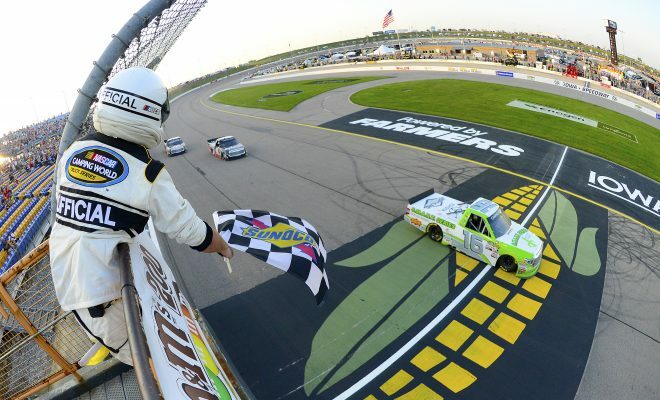 The wild, competitive and unpredictable M&M’s 200 Saturday at Iowa Speedway certainly showcased the drama the NASCAR Camping World Truck Series delivers from week-to-week. But once the dust settled and the sun sank low in the sky, a relative sense of calm swept over speedway veteran Brett Moffitt. Because Moffitt — who grew up on Iowa dirt tracks before climbing NASCAR’s ranks — had to hold off a hard-charging Noah Gragson in a furious finish that featured sparks from Gragson’s No. 18 after a failed last-gasp slingshot attempt sent him into the wall as the Iowan sailed under the checkered flag. Gragson still took second and polesitter Harrison Burton surged through adversity to take third. 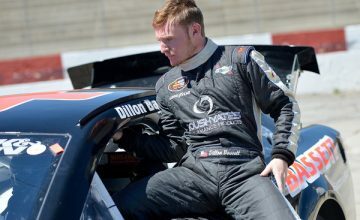 Burton nabbed his career-best finish in the Truck Series with the third-place result. The 17-year-old earned the first pole position of his NASCAR national series career — in just his 10th career start in the series — and led the first 30 laps of the M&M’s 200. Burton finished Stage 1 third, but had to pit for a throttle issue under caution at the end of the stage that caused him to lose all his track position and start Stage 2 at the back of lead-lap cars. Burton would rebound to finish Stage 2 in sixth. There were shots, knocks, and seismic shifts through the three-stage 200-lap event. The race’s complexion changed completely when a crash on Lap 135 doomed four top contenders. Coming out of Turn 4, Matt Crafton’s left front tire went flat, causing his No. 88 truck to slide up the track. He then collided with John Hunter Nemechek — last year’s race winner at Iowa — who had also won Stage 1 of the race. Crafton’s ThorSport Racing teammate Ben Rhodes also sustained big damage to his truck in the wreck. Stage 2 winner Stewart Friesen was caught up in the aftermath but avoided major damage. And that incident set the stage for Moffitt, of Grimes, Iowa — about a 45-minute drive from the speedway — to thrive in clean air as Gragson and Burton eventually chased him down within passing distance. Moffitt prevailed, though, earning his second win of the season. He also gained ground on Gragson in the point standings. Johnny Sauter — who settled for fifth — leads Gragson by 71 points. Moffitt’s another 14 points back in third place in the standings. The Camping World Truck Series will be in action next weekend at Gateway Motorsports Park for the Villa Lighting delivers the Eaton 200 presented by CK Power (Sat. June 23 at 8:30 p.m. 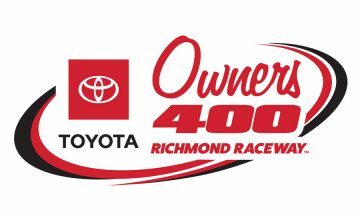 ET on FS1, MRN, SiriusXM NASCAR Radio).